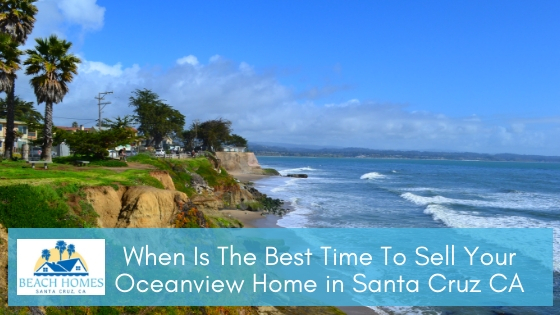 When Is The Best Time To Sell Your Oceanview Home In Santa Cruz CA? As a home seller, it’s natural for you to want to get the best deal for your trouble. One of the most common questions I get from sellers is if there’s such a thing as the best time to sell your oceanview home in Santa Cruz CA. The common answer to this is spring, often regarded as the best season to sell properties. But as we’ll discuss later, there really is no best time to sell homes in this area. The common thinking in real estate is the warmer the month is, the better time to sell your property. It makes sense for families to sell their home at the end of the school year, which is usually spring or summer. If we’re to believe Zillow, homes listed in spring, specifically during the first half of May, get sold two weeks faster than average and for an extra $2,500. A big factor here is during spring, people are itching to get around and do some home viewing. Homes also get better curb appeal in spring when the grass is vibrant and healthy and flowers are blooming. But don’t lose hope if your circumstances don’t allow you to sell during spring. You certainly don’t have to wait another year! Ultimately, it comes down to what you need, and besides, there are also benefits in selling your home on fall or even winter. Selling in fall isn’t advised in areas with extreme climates, but selling real estate in Santa Cruz CA is a different case. Despite the days getting shorter, the fall in Santa Cruz, unlike many other places in the country, is still warm with lots of sunshine. Plus, fall, with its orange leaves, gentle breezes, and bright skies, has its own ways of adding to your property’s curb appeal. Also, when you think of fall, images of warm soup in a cozy day indoors spring to mind. You can definitely play this up in appealing to your target buyers. Although the least ideal season for selling a property, winter is still possible if you don’t have any other choice. The main advantage of selling in winter is the lower competition. But here’s another: for Santa Cruz oceanview homes, you can take advantage of how enthralling the beach is during winter. With the endless fog and crisp air, the beach takes on a different charm. And this can work in showcasing how your property can give buyers a unique view each season. Ultimately, when you sell your property depends on your needs. If you can afford to wait, spring is the best season, but each season has its own merits that you can play up to your advantage. Find more home selling tips by visiting my website at www.SantaCruzCAHomesForSale.com. 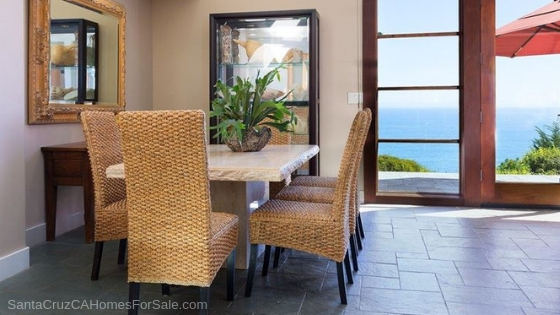 I’m Sandy Wallace, and I can help you sell your oceanview home in Santa Cruz CA fast. Call me at 831-818-7099 today. Get to know this quintessential California beach town! Santa Cruz is located on the northern edge of Monterey Bay and has 29 miles of coastline and includes numerous state parks and beaches. It encompasses a total area of 607 square miles, of which 445 square miles is land and 162 square miles is water. Many buyers looking for Santa Cruz CA homes for sale are drawn to its pristine beaches, lush redwood forests, and rich farmland. The area has an ideal Mediterranean climate with low humidity and sunshine 300 days a year. Santa Cruz County includes the incorporated cities of Capitola, Santa Cruz, Scotts Valley, and Watsonville. Some of the most popular communities include Aptos, Bonny Doon, Brookdale, Corralitos, Felton, Larkin Valley, La Selva Beach, Los Gatos Mountains, Rio del Mar, Scotts Valley, Seacliff, and Soquel. Find your dream home in Santa Cruz CA! Home to more than 250,000 residents, the county’s strong local economy is anchored by technology, agriculture, and tourism. Santa Cruz CA is also known for its captivating blend of nostalgia, natural beauty, and engaging activities such as kayaking, sailing, hiking, surfing, and golf. You’ll also find an array of art galleries, museum, festivals, and outdoor performances. There are premier cultural events such as Santa Cruz Shakespeare, Capitola Twilight Concerts, the Santa Cruz Film Festival, Scotts Valley Art and Wine, and Open Studios. 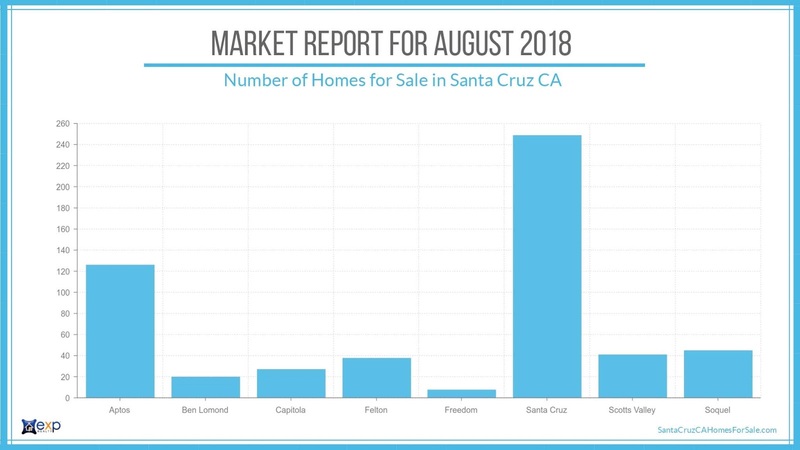 The real estate market in Santa Cruz is diverse and includes single-family homes, waterfront houses on pristine beaches, condos, townhomes, apartment buildings, commercial development properties, golf properties, and land for sale. The homes in this area offer the ultimate comfort and lifestyle with prices that are absolutely to die for. Living here, you’ll be constantly surrounded by beautiful nature and great surf. It’s simply a wonderful place to call home. Last March, the median price of single-family homes in Santa Cruz County hit a record of $935,100. Since then, the median price has stayed above the $900,000 mark. There was also an increase in the inventory of homes for sale. During the first week of November, there were 544 listings. This is 9% more than the available number of homes for sale last year. As for the number of sold homes, it was the same as about last year. However, with more homes on the market, the unsold inventory index — listings divided by sales — was 3.1 months, up from 2.8 months a year ago. According to MLSListings, the median days on the market to sell a home was 35 days in October, up from 20 days in last 2017. 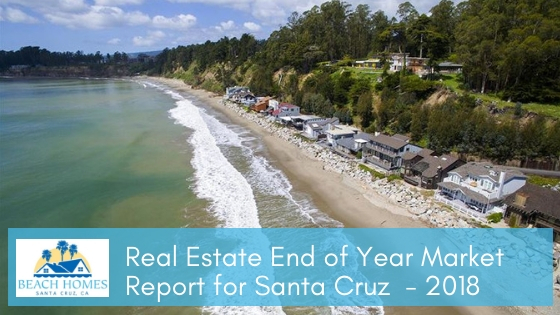 The median price for condos in Santa Cruz County was $565,000 — down from the January record of $637,500 — on 41 sales. There were 138 listings, a 68 percent increase from a year ago, and the unsold inventory index rose to 3.4 months. For next year, it has been predicted that California's median home price would go down by 0.2 percent. Click here for the most recent list of homes for sale in Santa Cruz CA. Call me, Sandy Wallace, at (831) 818-7099. I am here to assist you with all of your home buying and selling needs in Santa Cruz CA. I am committed to providing you with the best service possible. Whether you're upsizing, downsizing, or moving to a new state, you're now at the point where you've decided to sell your Santa Cruz CA oceanview home. If you think you can simply put up a For Sale sign on your yard and wait for buyers to flock to your doorstep, think again. Many people think it's easy to sell a beachfront home. After all, who doesn't want to own a property with a great view and the opportunity to be close to the ocean? Truth is, selling an oceanfront property takes a lot of more experience and skill than selling a single-story home or condo in the suburb. There are special considerations you have to make if you want to sell your Santa Cruz beachfront property successfully. 1. Find a real estate agent who specializes in selling oceanfront properties. This is an important element in a successful sale. 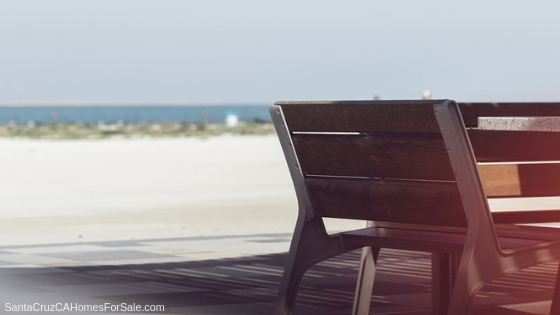 Not all agents know nor have the experience to sell your beach house. A real estate agent who specializes in waterfront properties like me “Sandy Wallace” can guide you better in the nuances of selling your house. 2. Do minor repairs. Before you proceed with any cosmetic makeover, it is important that you make minor repairs so the house is move-in ready. If you have any plumbing issues, fix it. Replace any old faucet and leaking sinks, get new door knobs, replace broken windows and tiles, fix the cabinets and drawers, and all other minor repairs you can see or think of. Painting your home is one of the easiest and cheapest ways you can do to make your property look more attractive. Pick a nice, neutral color and give your house a new coat of paint. 3. Don’t forget the curb appeal! If you're selling a waterfront home, don't just think about the view. Consider how the front yard looks. The curb appeal is the first thing buyers see when they come for a showing. Buyers make their first impressions in seconds. Make the most of that first impressions by ensuring that you have a clean, neat, and welcoming front yard. 4. Stage the entire house. Buyers love bright, inviting homes, and that's your goal. You want the house to be as clean as possible. You also want it to look airy and spacious so remove any excess decor and furniture, retaining only necessary pieces you can use. Don't stop there. Make sure that you stage every room of your beach view house. Set the kitchen and living room with some beach accessories to carry that feeling of being near the ocean inside the house. Clean your deck and set it up with outdoor chairs to create a cozy outdoor retreat. Stage your home in a way that buyers could visualize themselves living in the house. 5. Make it bright. Dark homes don't interest buyer, even if it’s an oceanview home. Make your beach property more attractive by updating the light fixtures of the house. Another way to make the house more open and bright is by opening the windows. This not only let in light and warmth but you are also letting in fresh air which clears the home of any lingering odor. If your interior paint is dark, switch to lighter colors like whites, creams, beiges, or light blues and light greens. These colors make your home look lighter and more spacious. 6. Highlight the views and outdoor spaces. One of the best things about living close the ocean is the amazing views. If there is anything you should highlight in your oceanview home in Santa Cruz, it is the views. Open the windows, remove the curtains, and make the views the focal point of the room by facing your furniture toward that view. Entice your buyers with your waterfront views. Do you have a viewing area? Does it provide a clear view of the ocean or is it obstructed by foliage? If your deck is surrounded by trees and foliage, trim the branches and remove the foliage so you can a clear view of the ocean. 7. Showcase the kitchen. Buyers love beautiful kitchens! If you are selling a waterfront property, buyers expect your kitchen to look spacious and fabulous. They expect it to be a great place where they can entertain, equipped with modern appliances designed to make life easier. 8. Be show-ready. When it comes to home selling, your home must always be ready to show. You don't know when a buyer is going to come, or your agent may call just a few hours in advance, so make sure that your home is always show-ready. Not being available for showing is one of the reasons why homes don't sell fast. You never know if that person who you turned away for showing may be the one who'll take your home off the market, but you missed that chance. 9. Set the right price. The most important thing you can do for your house is to set its listing price in the right market value. Price your house too high and you won't get any buyers. Price it too low and you risk losing money. The right price will attract buyers and sell your property at the fastest time possible time. Selling your Santa Cruz waterfront home is not easy, but if you follow these tips, you’ll find yourself receiving great offers as soon as you list your home. Are you planning to sell your beachfront home soon? Call me, Sandy Wallace, at 831-818-7099. Let’s discuss how we can sell your home fast. 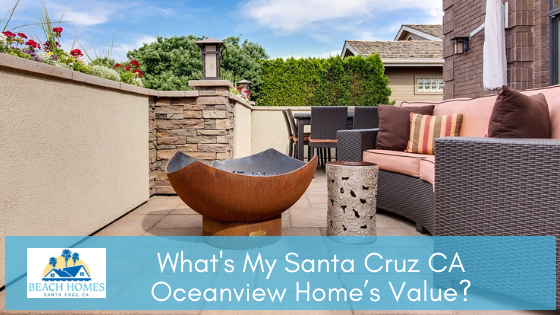 If you are thinking of selling your Santa Cruz CA oceanview home , you’re also likely considering how much to sell it for, how to sell it fast, and how to improve its value. There are many decisions involved in home selling, but the most important thing to consider is the listing price. Your home’s price will determine if the house will sell fast or not, so pricing it right is the key. Finding that sweet spot between not too low nor too high a price will result in a much faster transaction. Home pricing is part art, part science. It follows procedures, it requires research, and a little bit of math. It also needs the right tools and information. That’s where we real estate agents come in. Our market knowledge, experience in valuations, and tools like CMA (comparative market analysis) help us come up with the right price to list your home. Comparables. This also known as comps and refers to prices of recently sold homes in your neighborhood. By taking into account sold homes with the same size, house style, condition, and amenities, you can tell how much buyers are willing to pay for. It gives you a good gauge when it comes to pricing your home. View and location. You’ve probably heard this a hundred times but in real estate, location is king. Is your home near a quality school, shopping or entertainment centers and job opportunities? How close are you to the freeway or highway? These things add or decrease the value of the home. What kind of view do you have in your home? Is it a peek-a-boo, a clear view or a panoramic view of the waters? Views are hard to quantify, but the better your vantage point and the less obstruction, the higher the value. Size. A home’s value is estimated per square foot, so size plays a huge role. You also have to consider the livable space which excludes garage, attics, and unfinished basements. Bedrooms and bathrooms increase value, so generally, the more bedrooms and bathrooms, the higher the value. Home age and general condition. New constructions have higher value than old house because old home require more maintenance and upkeep. Updates and improvements. Improvements you’ve made to the property can also influence home value. Updating to hardwood floor, installing energy efficient windows, and adding a deck are some improvements that can increase home value. Market condition. The condition of the local market also affects home value. If there are many buyers competing over a few number of homes, home prices can increase. If there are many sellers but only a few buyers, home price decreases. Even the local economy and interest rates affect your home’s value. Knowing your home’s value helps determine the right listing price for your waterfront home for sale in Santa Cruz CA. Are you planning to put your home on the market soon? Call me, Sandy Wallace, at 831-818-7099 for a free home valuation. I’ll be waiting for your call. In case you can not view this video here, please click the link below to view What’s My Santa Cruz CA Oceanview Home’s Value on my YouTube channel: https://www.youtube.com/watch?v=QY3jaMcQjCM. You will love living in Santa Cruz! Santa Cruz is located on the northern edge of Monterey Bay and is the quintessential California beach town. This place is known for its many beautiful beaches. 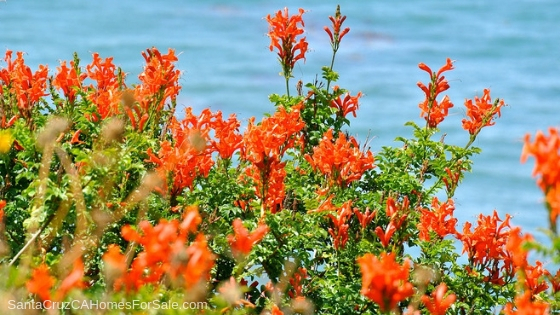 Buyers looking for Santa Cruz CA homes for sale are drawn to its stunning coastline, redwood forests, and great weather. It is home to almost 280,000 residents. Santa Cruz County is the gateway to the Monterey Bay National Marine Sanctuary, one of our nation's most spectacular marine protected areas, which offers some of the best wildlife viewing in the world. It also has 29 miles of coastline and includes numerous state parks and beaches. Living here, you’ll be constantly surrounded by beautiful nature and great surf. It’s simply a wonderful place to call home. Enjoy the crowning jewel of the Golden State! You will find numerous cultural and recreational activities, including sailing, fishing, golfing, surfing, kayaking and hiking. Cultural amenities in the area include the Santa Cruz County Symphony, the Cabrillo Music Festival, Shakespeare Santa Cruz, the McPherson Museum of Art and History, the University of California Performing Arts Center, and the Henry J. Mello Performing Arts Center. Beautiful Santa Cruz CA homes are waiting for you! Looking to buy a home in the area? You’ll find diverse options including gorgeous waterfront homes, secluded homes on acreage, and even golf properties. There are also luxury estates, condominiums, and townhomes. Santa Cruz County includes the incorporated cities of Capitola, Santa Cruz, Scotts Valley, and Watsonville. Some of the popular communities include Aptos, Bonny Doon, Brookdale, Corralitos, Felton, Larkin Valley, La Selva Beach, Los Gatos Mountains, Rio del Mar, Scotts Valley, Seacliff, and Soquel. 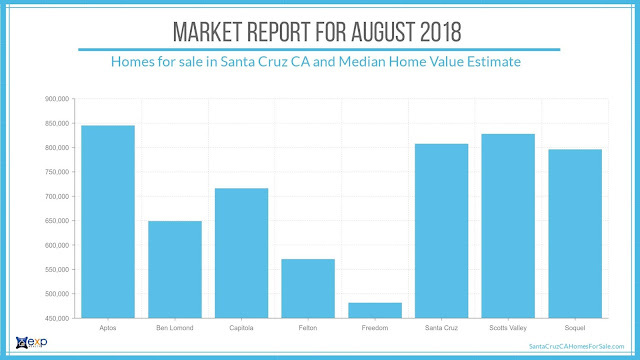 There are currently 787 homes for sale in Santa Cruz CA with a median home value estimate of $761, 100. Last July, there were 188 homes sold with an average sales price of $981, 842 and 33 average DOM. 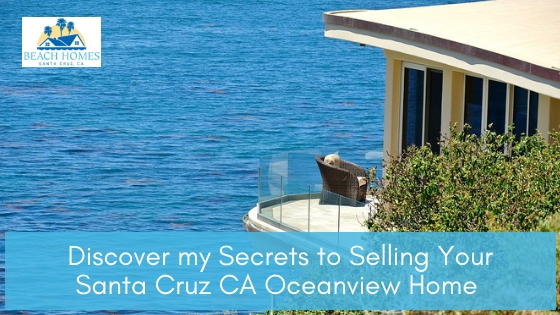 🔒Discover My Secrets to Buying Your Ocean View Home in Santa Cruz! Have you always wanted to live by the ocean to watch the waves every morning before starting your day? Or maybe you’ve imagined a relaxing retreat away from the hustle and bustle of the city? This is your chance to get what you want! Ocean view homes are now for sale in Santa Cruz CA! With many real estate options to choose from, it can be challenging to discern what property to buy. This is especially true if you’re not familiar with what to look for in a home by the ocean. Here are some of my secrets to help you find your new home! Your new home will be an investment. Selecting a house that has good resale value will be advantageous if you decide to sell your house in the future. That being said, there are a few things you might want to avoid when it comes to choosing your Santa Cruz CA home. Santa Cruz can have its share of upward and downward slopes. Houses that are on these slopes will tend to have more stairs leading up to the front door or the peripheries of the house. If you feel like you’ll have a difficult time with these features, it could be best to find a home in a more level area of Santa Cruz. In connection with the previous point, Santa Cruz single-storey homes sell faster partly due to the fact that there are fewer stairs involved. This can help you in two ways. First, it will be easier for you and your family to navigate your home since there are no stairs. Second, single-story homes are more in demand, which is desirable if you do decide to resell your house in the future. Imagine sitting comfortably in your ocean view home, relaxing and enjoying your time when your peace is suddenly interrupted by the sound of cars passing by constantly. This is not the ideal scenario for anybody. It is crucial that you choose a home away from main thoroughfares and busy streets to preserve your peaceful sanctuary. I can help you more if you visit my website at http://www.santacruzcahomesforsale.com/ ! Many options will be available to you when it comes to location. You can opt to purchase a home that is away from the noise and disturbance. This is the beauty of purchasing a house in Santa Cruz! A home is a place for resting and unwinding. Why would you want to be in a home near a warehouse? Avoiding areas with real estate dedicated to utilities such as waste treatment plants, power stations, and others is best when choosing your ocean view home. All the effort and time that goes into choosing and reviewing homes can take its toll on you. The hassle that can be saved is priceless if you allow me, Sandy Wallace-REALTOR®, assist you in finding your new oceanview home in Santa Cruz CA. You will be in good hands, so call me at 831-818-7099 to find your oceanview home! My experience and expertise in this market will guarantee your new home will be the perfect one! 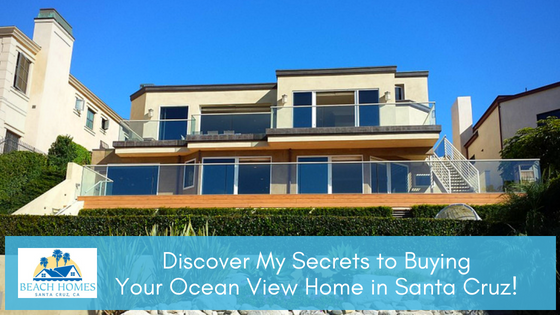 In case you can not view this video here, please click the link below to view 🔒Discover My Secrets to Buying Your Ocean View Home in Santa Cruz! on my YouTube channel: https://www.youtube.com/watch?v=wKRZUqk0SIo&feature=youtu.be. California. Beach, sun, waves, and endless summers. If you are on the hunt for an ocean view home in California, you have got to see the ones here in Santa Cruz! These homes offer the ultimate comfort and lifestyle with prices that are absolutely to die for! 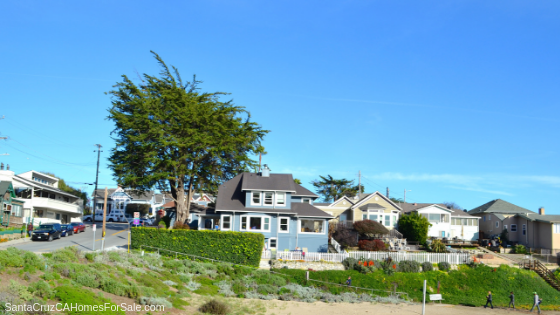 Keep reading as I show you how to make your pick among all these wonderful homes on the Santa Cruz beachfront! That’s always the first step when choosing between ocean view homes in Santa Cruz. All the listings you see are great, and each of them has something special to offer. I would also recommend making notes beside each of these listings. Make one or two notes about each home’s pros and cons, like this. Pros: great location, large backyard. Cons: swimming pool maintenance is costly. Each family and each individual has their own preferences and special circumstances. There’s no shortage of homes here, so be careful not to get too carried away when looking at homes! Here’s the painful part: narrowing down the list. From your initial search, you’ll have accumulated dozens of homes. You can put the best ones on one side, and the not-so-great ones on the other side. Now it’s time to do some digger deeping. This is when going through photos online just doesn’t cut it anymore. Set aside some time this week to visit these homes in person and see what they look like in person. You may opt to prioritize seeing the nicer homes first, and see if any of those hold up in person. If you find yourself unsatisfied with them, try giving the not-so-great ones a chance. Make that list even shorter! 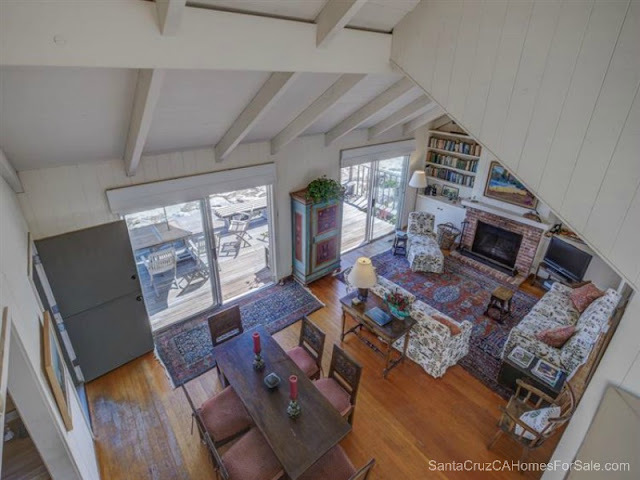 Now that you’ve seen what these ocean view homes in Santa Cruz look like in person, it’s time to do some deliberation. Ask yourself this question: Can I picture myself living in this home for the next 5 years? Buying a home is no easy task. It requires a great deal of money, effort, and consideration. No one would want to move in to a home only to move out after a few months or a year. In most cases, 5 years is enough time to live in a house before selling without losing money. As you ask yourself whether you can picture yourself living in this house for the next 5 years, consider items such as mortgage payments, work and education, lifestyle, age of family members, the neighborhood, and the like. Great homes don’t stay on the market very long. Keep this in mind and avoid unnecessary delays. The last thing you would ever want to happen to you is to finally decide on a home only to discover that it has already been sold. This happens not only in real estate, but practically everywhere else. There’s a lot to consider when buying an ocean view home, but in all my years as a real estate agent I can tell you that it will all be worth it! Your whole family will get to enjoy your private sanctuary with amazing California views and unparalleled comfort. 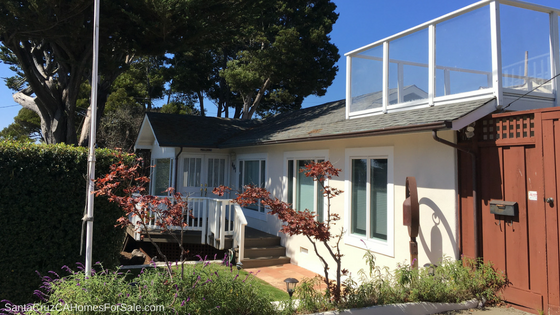 Need help finding the best ocean view home in Santa Cruz CA? Give me, Sandy Wallace, a call at 831-818-7099. I’ve been doing this for years, and my clients love the service and expertise I bring to the table, so let me do the same for you! 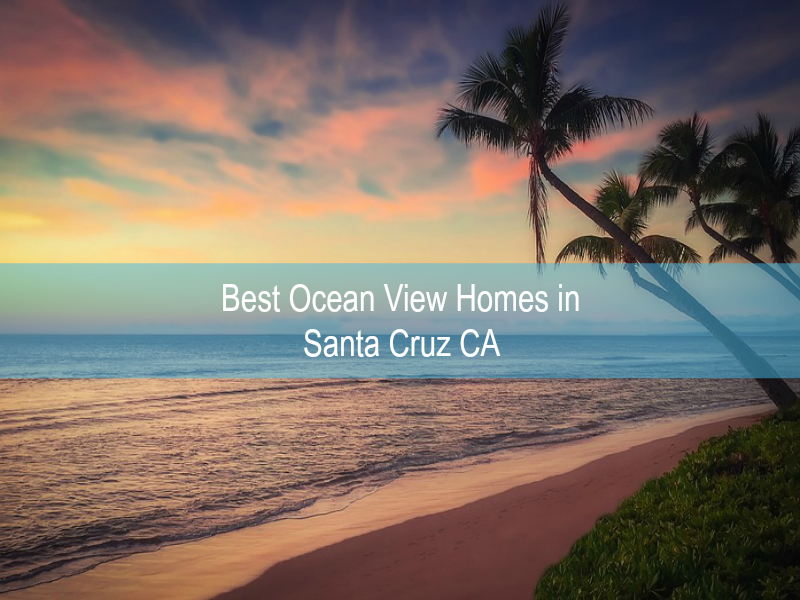 In case you cannot view this video here, please click the link below to view Best Ocean View Homes in Santa Cruz CA on my YouTube channel: https://www.youtube.com/watch?v=1aBdDJevoho. I believe home ownership is still “The American Dream” and should be available to those individuals who pursue that dream. I am committed to professionally represent and protect every client’s interest while creating and retaining relationships with them based on integrity, quality and reliability. I will act as a trusted advisor while offering the best possible assistance in helping my clients achieve their dreams.